That was the stated conclusion of this NASA-sponsored study — in 1975! We can do it, starting now. 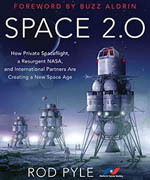 A future with space settlements is vastly better than one without them. When the first person landed on the Moon in 1969 after only eight short years of intense effort, the National Aeronautics and Space Administration (NASA) proved that we could do nearly anything we put our minds and resources to that is consistent with understood principles of engineering and science. 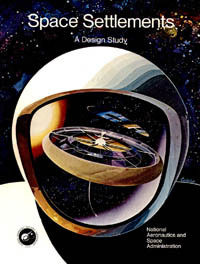 A few years later, Princeton physicist Gerard O’Neill and others showed that large orbital space settlements would fall within understood principles of engineering and science [Refs. 1-5]. Dr. O’Neill’s analysis strongly suggested that asteroids and lunar mines could supply the materials, the Sun could provide the energy, and that our technology had nearly reached the point where we could build space settlements. These communities could be placed almost anywhere in the solar system. In 1990, Robert Zubrin and David Baker described a program called Mars Direct, an innovative approach to beginning the settlement of Mars. Zubrin’s 1996 book The Case for Mars [Ref. 6] went on to outline a long term program to bring Mars to life with a vibrant human civilization. While certainly difficult, every step in this program is also achievable within understood principles of engineering and science. 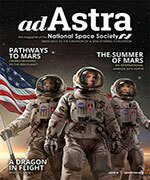 Many plans for space settlement have been proposed — in orbit, on the Moon, on Mars, the asteroids, or elsewhere. All are extremely difficult and expensive, but not much more difficult and expensive than things we have already done. After all, construction of today’s civilization was a mighty task indeed. However, if we are going to spend an enormous amount of time, effort, and money on something, we’d better know why. There are many reasons to move into space: growth, wealth, energy, survival, spiritual development, knowledge, diversity, to solve serious Earthly problems, to fulfill a sense of destiny and responsibility, and even to have fun. All of these boil down to a simple fact: A future with space settlement is vastly better than one without it. The largest asteroid, Ceres, has enough material to build orbital space settlements with a total living area well over a hundred times the land area of the Earth. One smallish asteroid, 3554 Amun, has about $20 trillion worth of metals [Ref. 7, page 112]. There are tens of thousands of asteroids. The energy available for space settlements exceeds 2 billion times the total energy currently used by humanity. Furthermore, we more-or-less know how to exploit these resources without hurting anyone, oppressing anyone, or harming any living organism for the simple reason that there aren’t any living things there — it’s just rock and radiation, both of which are usable (and valuable) resources. We can bring life into space at great advantage to those who dare try, as well as to humanity as a whole. When Clarke first published his idea of utilizing geosynchronous orbit in 1945, that idea was in Stage 1 because it was technically impossible to do so at the time. Today, of course, that idea is in Stage 3, and our television programming and phone calls routinely go through geosynchronous satellites. The idea of building space settlements moved past Stage 1 in the 1970s, as this website will amply demonstrate. For the past couple of decades we have been stuck in Stage 2. Stage 3 is reachable within the lifetimes of those now living. Read on!